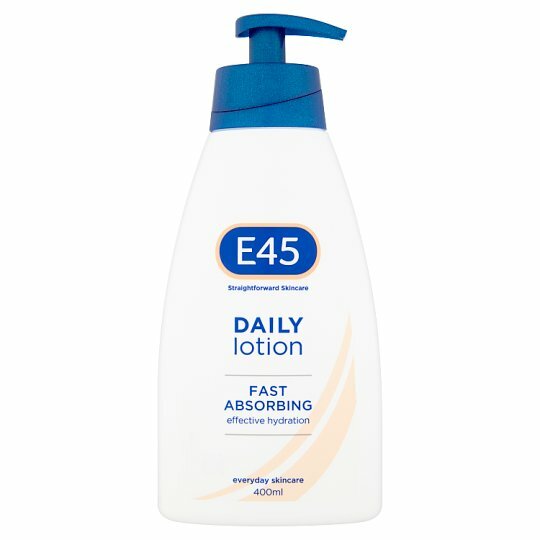 E45's trusted formula, in a fast absorbing moisturising lotion for quick application that leaves your skin hydrated. At E45 we don't believe in making things unnecessarily complicated. We take the same approach when formulating our moisturisers, making sure they have everything dry skin needs to feel good. We've not added unnecessary colours and fragrances to our Daily range.